When not one but three central government ministers get involved in a controversy over an inconsequential issue like what a 20 year Old’s placard reads, it only means one thing- the government want to keep another far more important issue away from the limelight. This issue might very well be the government’s attempt to set up a “bad bank” which will have serious economic repercussions for all of us. 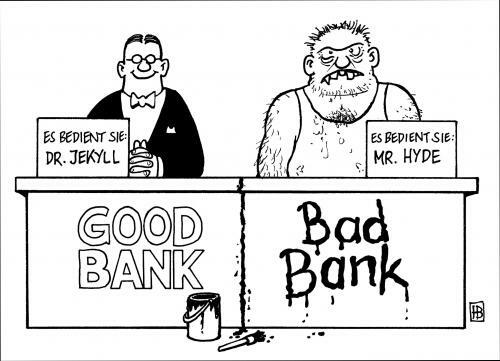 What is a Bad Bank? A bad bank is basically a bank which will buy the bad loans from different banks and try to “reconstruct” the assets to get back the money that was due. With the main opponent to this plan- Raghuram Rajan out of office- the finance minister of India, the chief economic advisor to the Indian government and a deputy governor of the Reserve Bank of India have recently opined that a bad bank should be established as soon as possible. Why did Raghuram Rajan oppose it? He opposed it because of the Indian banks’ debt profile. Almost all the bad loans or NPAs are in government owned public sector banks and almost all of these are a result of loans being given to privately owned corporation and business houses. The private sector will not invest in a bad bank because it is a venture which guarantees loss. So, Raghuram Rajan was worried about the government using public money in order to settle private debts which might have serious consequences for India’s debt to GDP ratio. In other words, Raghuram Rajan implied that if most of the loans were in the private sector banks then the banks would/could have been forced to raise money from the public through securities to solve that problem. But now the government will be forced to do that if it decides to set up a bad bank which will increase government debt and force them to limit expenditure. What does it mean in simple words? Well, we as a nation have watched in slow-motion all the bad business decisions of liquor baron Vijay Mallya, such as, buying an IPL team, buying a Formula 1 racing team, private jets, expensive cars and last but not least swimsuit calendars. If a “bad bank” is formed all of Vijay Mallya’s bad loans could be transferred to it and the government will have to use our money to right Vijay Mallya’s mistakes. I don’t know about you but I find this completely unacceptable. But, Vijay Mallya is just one example- there are hundreds of people like him, many of whom are even bigger spenders than Mallya. If this plan is so bad then who is supporting it? Last year the former RBI governor Rajan forced all banks to disclose their Non-performing assets. This led to a lot of embarrassment for many bank officials when it emerged that they gave loans to private business concerns which should not have got any if normal banking procedures were followed. Investigative journalists also soon found out that many of these loans were given out due to pressure being exerted by government bureaucrats on the banks. But now with a bad bank buying up all the banks’ bad loans and NPAs- the bank officials and bureaucrats can wash their hands off of their misdemeanours and pass the responsibility for an asset’s “non-performance” onto this newly founded institution. Bankers have a second reason to support this plan. If a bad bank is set up then the responsibility of banks to lend money responsibly considerably decreases because after all if the loan becomes a Non-Performing Asset then they can simply sell it to the Bad Bank and wash their hands off from any fallout. 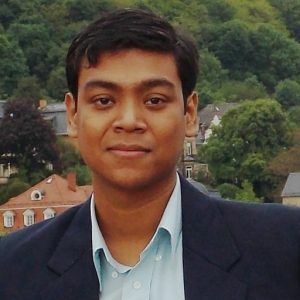 Is there any alternative to deal with NPAs other than opening a Bad Bank? In order to deal with bad loans the government owned banks have been engaging in “assets reconstruction” either by themselves or by employing privately owned Assets Reconstruction Companies, but this initiative has been a failure. Now with a bad bank the government is hoping to succeed by setting up a big government owned Assets Reconstruction Company to deal with NPAs. I have only one thing to say here, that is to quote Albert Einstein- Insanity is doing the same thing again and again and expecting different outcomes. Indian government should seriously and sincerely think of a different way to deal with these Non-performing assets. Below I have mentioned a suggestion- please have a look at it. One of the meanings of the word “democratise” is to make something available to all. Why don’t we democratise the NPAs? Keep the NPAs with the respective banks. The banks know who their high value customers are. Banks can contact the assets reconstruction companies and not ask them to reconstruct the non-performing assets which take a lot of time without any guarantee of success but asks them which failed assets can most easily be reconstructed or re-converted into a profitable asset. This is not a difficult job to do and frankly there are many private consultancy firms in India which can do this job. The banks then should offer to sell these NPAs which have high probability of success to their high value customers. Only those customers who have impeccable credit record which can be easily determined with the help of CIBIL or Credit Information Bureau of India Limited should be made eligible to buy such an asset. Any asset thusly sold to a private party should for a particular time period be made eligible for loans based only on the immovable assets of the business or the high value customer to whom this NPA had been solved. Moreover, loans should only be approved if the buyer of these assets agrees to implement the changes which have been proposed in a plan drawn up by the bank and the firm which assessed the non-performing asset before it is sold to the high value customer. There are many high value individuals banking with Indian banks but most do not have any business background or entrepreneurial acumen. The pre-conditions to sell NPAs to such individuals should also be that they agree to set up an independent board of directors who can run the everyday operations of the newly acquired asset. The size of this board must vary according to the size of the asset and always be an odd number to avoid indecision. I think this plan will work because there are many NPAs which have a lot of potential but have been run down by bad business decisions. I also think that there are sufficient number of high value individuals using the Indian banking system who would love to own a business but are hesitant to do it because they do not want to start from scratch and because they are ill-equipped to run the day to day operations of such a business. Moreover, a high value individual will most likely “adopt” a business close to where he/she resides, this will help in the welfare of local communities since NPAs and high value bank customers can be found everywhere in India. If you like this suggestion on an alternate method to deal with NPAs, please share it online and on government portals. Previous Alauddin Khilji- the Saviour of Hinduism? Nice interesting read. An info graphic on this with numbers would do wonders to your blog post!